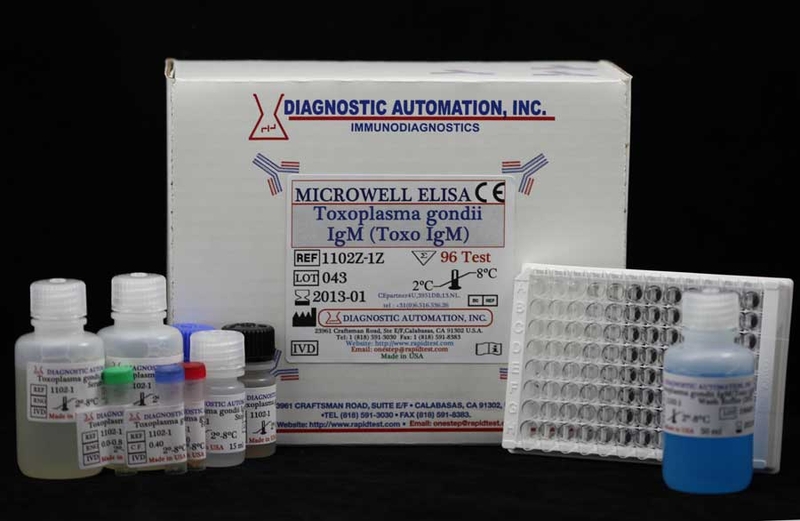 The Diagnostic Automation ELISA, Measles IgM is intended for use in evaluating a patient's serologic status to Measles infection. 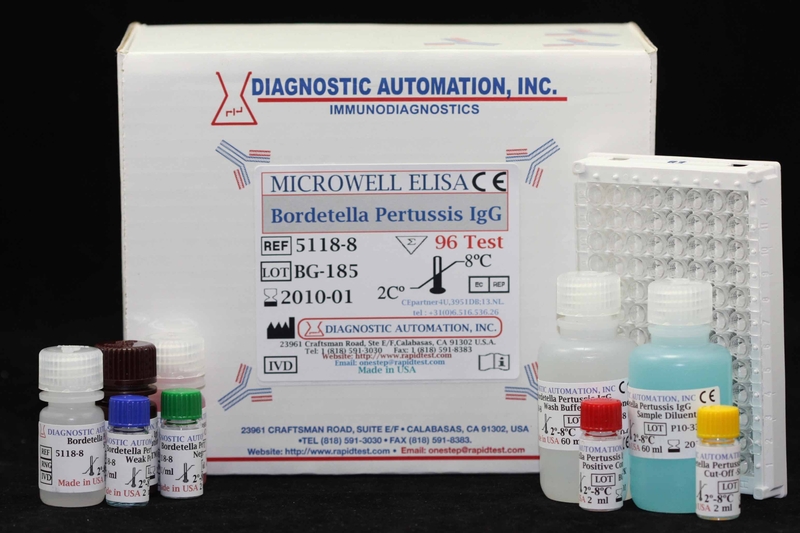 In the Measles diagnostic test, purified Measles antigen is coated on the surface of microwells. 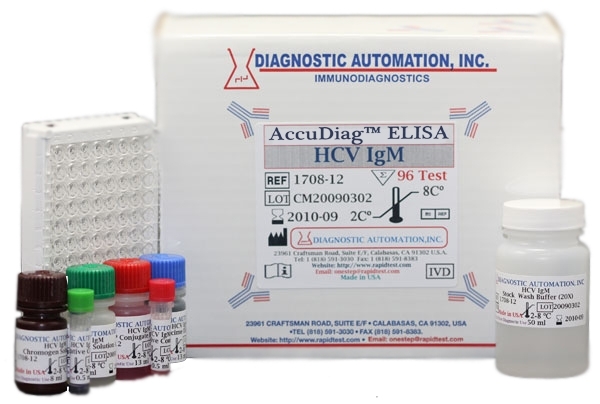 Diluted patient serum is The Diagnostic Automation Measles IgM ELISA kit is intended for the detection and determination of Measles IgM antibodies in human sera. Since the introduction of a measles virus vaccine, the U.S. has mounted an effective immunization program which has essentially eliminated measles as a major childhood disease. However, as a result of vaccine failure or the failure to be vaccinated, a recent and persistent shift in the susceptible population towards young adults has been recorded. In the case of measles, severity of illness and mortality rates are highest among adults. 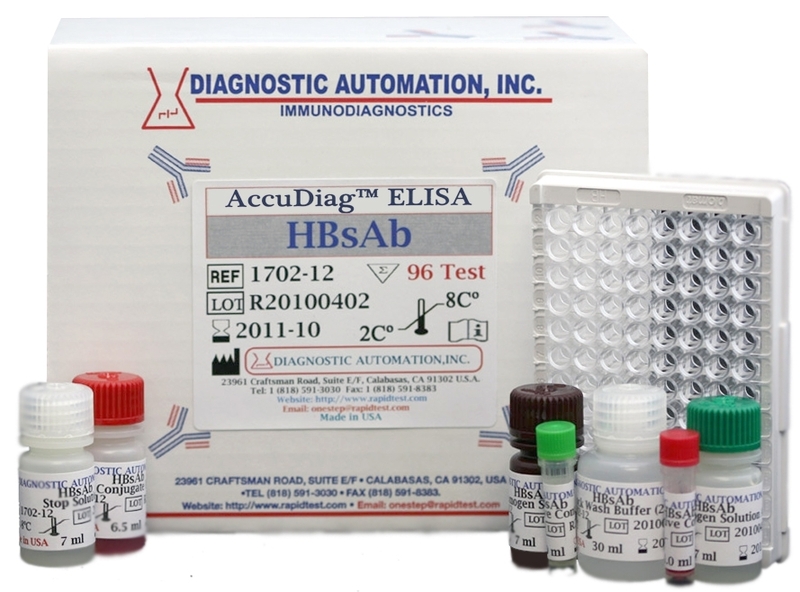 Thus, serology has become increasingly important as a tool for determining the immune status of the young adult population entering college or the military. In addition, the linkage between measles infection and premature delivery or spontaneous abortion supports screening pregnant mothers for susceptibility. Several diseases in addition to Measles have been associated but not causally linked to measles virus. This list includes subacute sclerosing panencephalitis (SSPE), systemic lupus erythematosus (SLE) and multiple sclerosis (MS). Patients with SSPE, a chronic degenerative neurologic disease, have documented high levels of antibody to measles virus. However, for SLE and MS there is less pronounced but statistically significant elevation in antibody levels. The significance or role of measles virus infection in these disease states is unknown at the present time. Since the presence of circulating IgG antibody to measles virus is indicative of previous infection or vaccination, screening the young adult population about to enter college or the military, pregnant women, and other individuals at risk, for seropositivity, is a valuable tool for determining their immune status. The immune response to infection or vaccination with measles virus is rapid and characteristic. Measles specific IgM and IgG begin to appear in the circulation simultaneously. The IgM response is in 1 to 3 months, while IgG response is sustained, resulting in life-long immunity. Purified Measles antigen is coated on the surface of microwells. 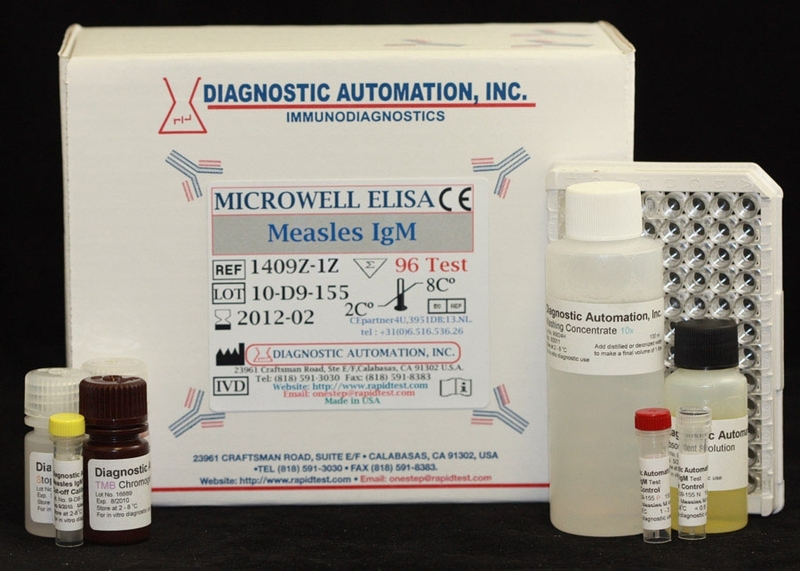 Diluted patient serum is added to wells, and the Measles IgM specific antibody, if present, binds to the antigen. All unbound materials are washed away. After adding enzyme conjugate, it binds to the antibody-antigen complex. Excess enzyme conjugate is washed off, and TMB Chromogenic Substrate is added. The enzyme conjugate catalytic reaction is stopped at a specific time. The intensity of the color generated is proportional to the amount of IgM specific antibody in the sample. 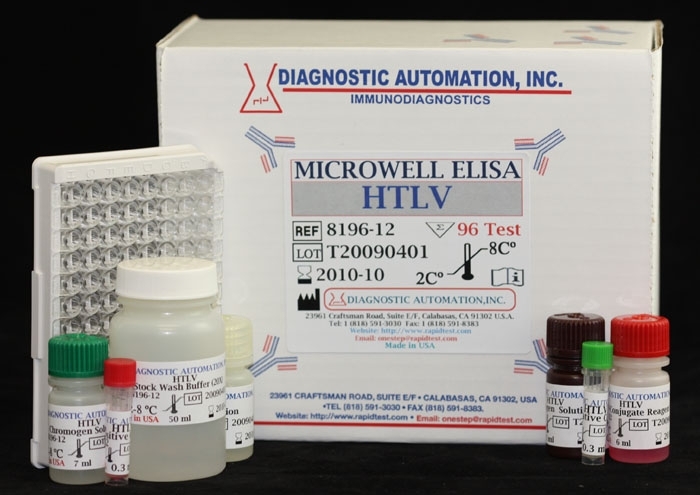 The measles test kit results are read by a microwell reader compared in a parallel manner with calibrator and controls.